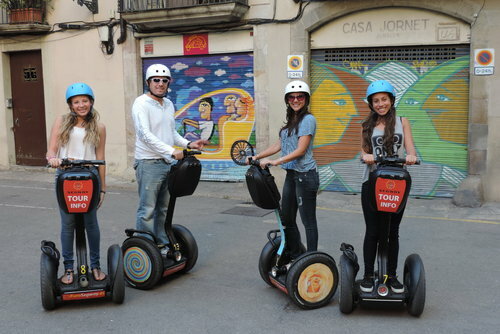 Euro Segway company specializes in Segway rental and Segway tours. Having significant experience in this sphere of business we are currently operating branches in Barcelona and Prague. 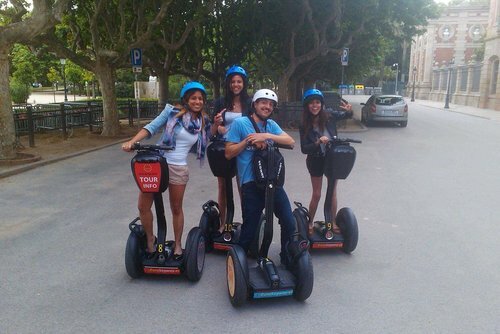 In both cities we have enough Segways for individual tours and corporate events. We use only genuine Segway i2 made in the US, no Chinese analogues are used. 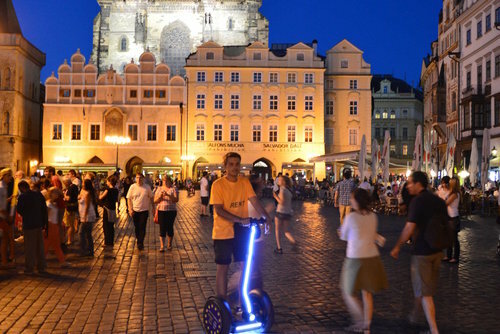 The possible distance of one Segway may ride during one day without charging is 35-40km, or up to 8 hours of non-stop use. 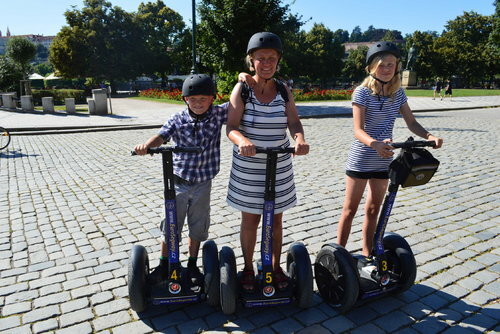 Segway is intuitively simple in operation; even children from 8 years old may safely drive it. Any person in 5-10 minutes can learn how to drive a Segway. 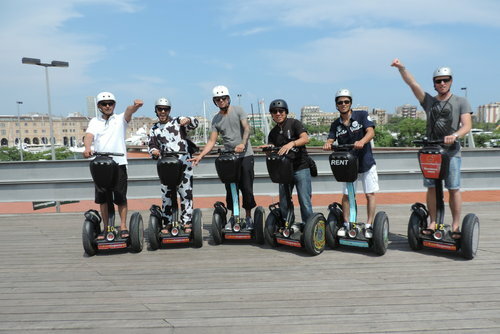 Our qualified instructors will teach the guests how to drive a Segway and to have fun with it, our guides will tell about the main historical sights of the city and will show the way. 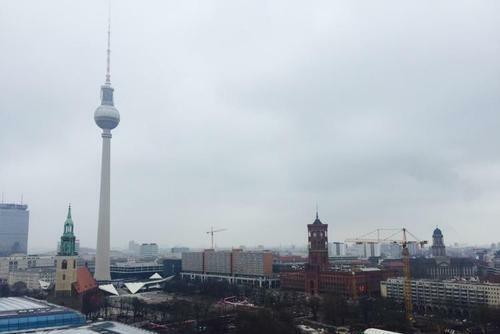 Our guides are making the tours in English, Spanish, Portuguese, German, French, Czech and Russian languages. 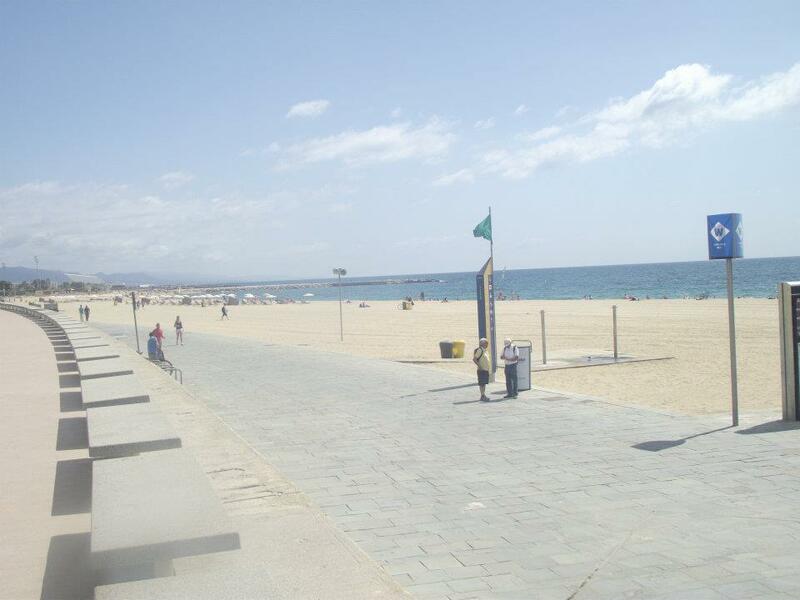 If you need a tour in another language we will find a suitable guide as fast as possible. 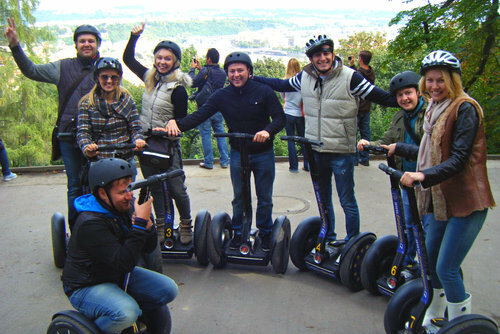 Segway drive training, guiding work, helmets rental during the tour and also raincoats during rainy weather are included in the tour price. Every guest will have a bottle of water for free. Taking pictures of you by our guide is also gratis, we sent them then via email. All our tours are running on the safe routes, excluding the automobile roads. During the tour time there are rest-stops every 20-30 minutes. 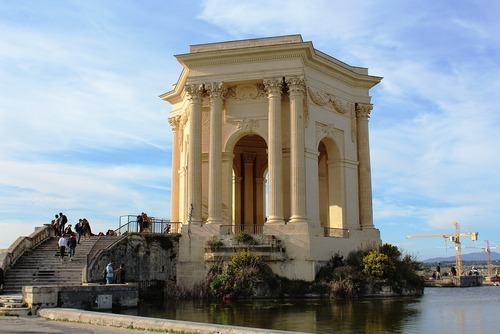 The tours duration may vary from 60 minutes up to 4 hours. The optimal tours are 2 and 3 hours, because in this time the guests can see most of city sights without feeling tiredness.